This tutorial will be for adding Reverb to an audio track in Adobe Audition. This effect is great for reducing the punchiness of an audio track. 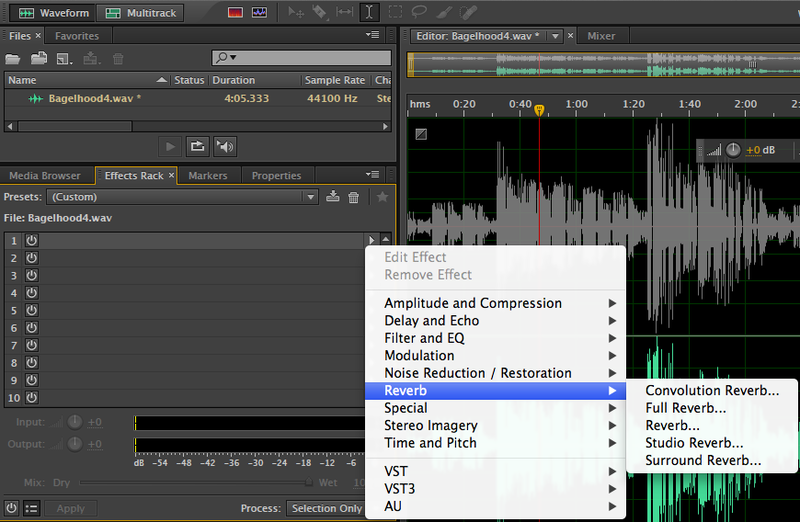 It is a great tool for blending audio tracks/putting them into the background of the mix instead of the forefront. 2) On the left hand side you’ll see the folder view for Effects Rack. Click on this. 3) You will now be prompted with the Surround Reverb Effect. Here you can adjust the various settings of balance/gain/wet/dry. 4)I recommend lowering the wet/dry mix to around 12. Wet is the amount of effect in the mix, and dry is the lack of effect. 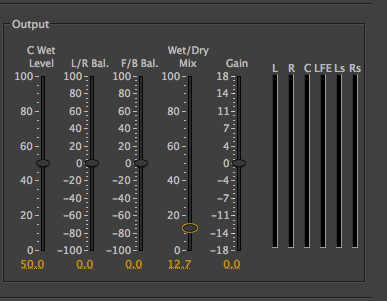 The higher the fader on this option the more ‘wet’ or present the reverb effect will be. ~ by zg304 on November 25, 2013.